More of what you love–extended blooms! This offer is an array of colors that blooms in spring with another show again in mid-summer to fall. 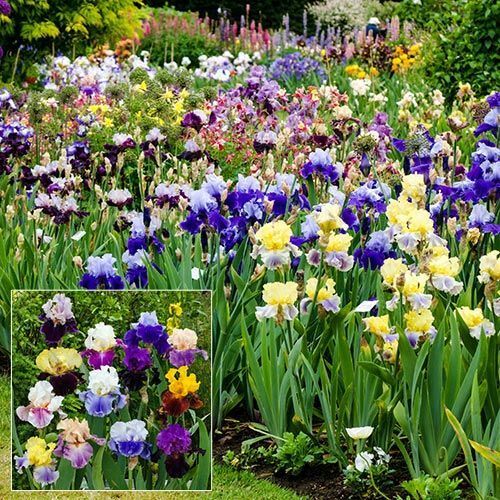 Start your own iris garden or enhance an existing one with this generous offer. They will naturalize and come back year after year. You will have enough blooms to fill out a garden and cut some for indoors. 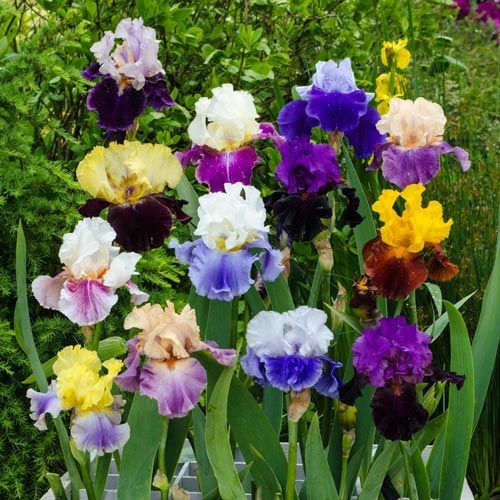 They'll reach 29-40" tall in sun to partial shade and well-drained soil. USA field grown. PruningRemove spent flowers stems after blooming. In late fall.